This April will see the return of the Dublin One City One Book programme. 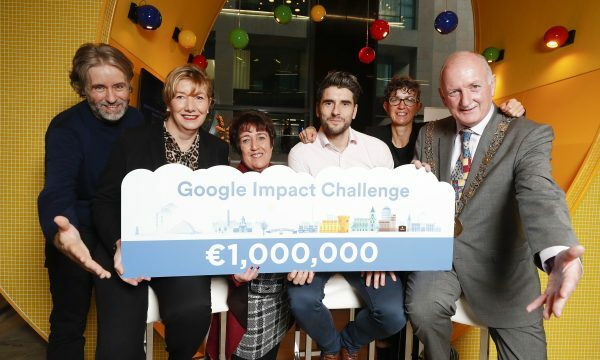 The Dublin City Library-led programme encourages the public to read a book during the month of April that has a connection with our capital city. 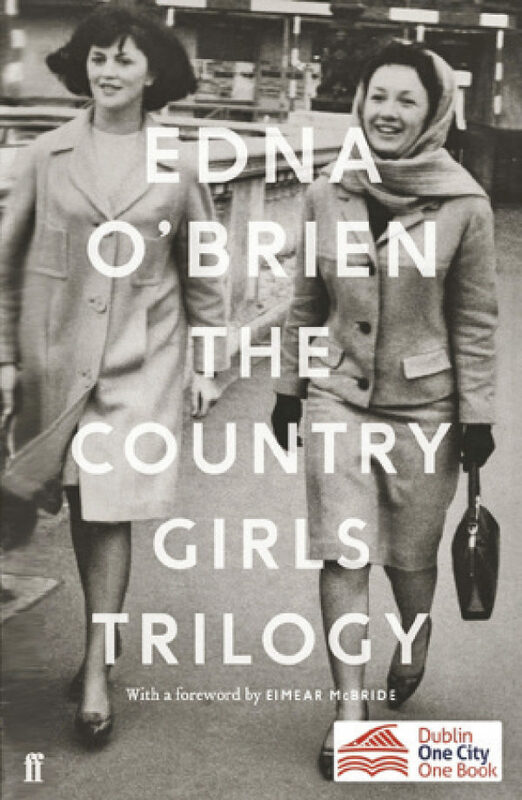 The Country Girls Trilogy by Edna O’Brien has been chosen as the book for 2019. 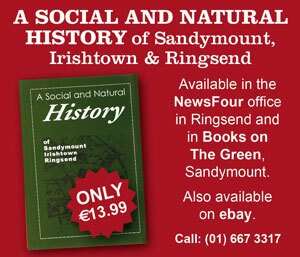 Originally published in 1960, the book was eventually banned by the Irish censor because of its content. O’Brien was berated and shamed by her parents and was sent a string of threatening letters. Even her own parish priest would openly burn copies of the book. 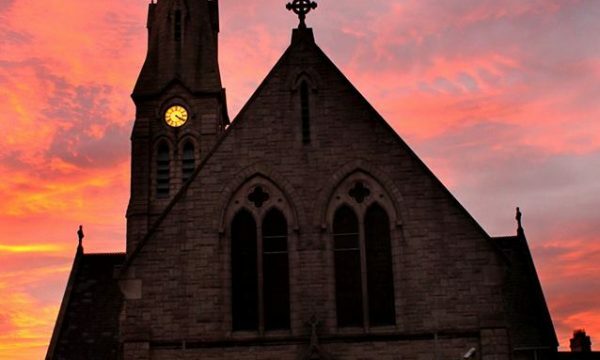 Later, the book became revered for its attention to detail, its feminist qualities and its underlying address to the reader to question the benefits of rigid Irish Catholic society. The book was written over a short three-week span. This is something O’Brien has often commented on, by remarking that “the book wrote itself”. Set against the backdrop of 1950’s post-war Ireland, it explores the theme of sexuality and draws attention to the complex social mores that people participated in at the time, especially with regards to younger women. We meet a teenage Caithleen, the main character of the book, as she awakens one morning and is suddenly struck by anxiety. She lives on a farm run mainly by her mother “mama” and the farm assistant Hickey. Her father is a heavy drinker and an unpleasant man, who disappears for days on end, much to the delight of everyone on the farm. Caithleen’s ‘friend’, Baba, is well off and enjoys reminding Caithleen of that fact. One day Caithleen receives some exciting news from school… shortly followed by the worst news imaginable. Both developments will change her life forever. This coming-of-age novel is written from the point of view of Caithleen, which gives us an innate insight into the mindset of the younger generation of Irish people during this time of immense change. Womens’ and girls’ lives were completely ruled by their families and by the Catholic church during the 1950’s, and that would continue to be the case up into the early 1970’s, when women began to assert their freedom. Caithleen’s story shows us how her freedom fluctuates, from one overbearing situation to another. She’s a contemplative, quiet dreamer, a character aspect which her friend Baba, and others, seem to take advantage of frequently. When she gets a placement to study in a convent, we see this relationship between the girls shift, as Baba becomes more reliant on Caithleen’s company. After three long years, Baba decides that enough is enough and drafts Caithleen into executing an escape plan involving getting them expelled. “Your mind is so despicable that I cannot conceive how you have gone unnoticed all these years. Poor sister Margaret, she has suffered the greatest shock of her religious life,” says the Reverend Mother in the book. Despite Caithleen’s tendency to dream, we understand at this point that she is a stronger willed character than Baba. While Baba tends to go back on her word and lie to get what she wants, Caithleen will always lean towards the truth and stand her ground, no matter the consequence. When the girls set off for Dublin city, there’s a sense of electricity in the air, both girls finally feel like free women. After the girls become acquainted with city living, they are confronted with the harsh realities of adulthood. They realise life isn’t always like a dream. The Country Girls is the first book in the trilogy, followed by The Lonely Girl and Girls in Their Married Bliss. Each book tracks the girls’ progression through life, the obstacles they face and their constant struggle to find and define the meaning of true contentment. These books paved the way for a shift in the way Irish literature was perceived. There’s still a sense of wistfulness there, a longing for better times. However, we see O’Brien counterbalance this with a young female perspective on the grimy truths of 1950’s Ireland that so many people chose to sweep under the rug. As Inventing Ireland critic Declan Kiberd said, she is “the writer who made many of the subsequent advances in Irish women’s writing possible: and she continued to craft a prose of surpassing beauty and exactitude”. With a catalogue of 18 novels, nine collections, five plays and a volume of poetry under her belt, it’s easy to understand how and why Edna O’Brien is such an integral part of the history of Irish literature. There will be a number of free events on around the city and locally for the month of April. On the 3rd of April, Pearse St. Library will launch an exhibition lasting until the end of May called Evil Literature: Banned books in the collections of Dublin City Library and Archive. The exhibition is based on the collections of the Dublin City Archives and the Dublin City Reading Room. The National Library of Ireland will host the History Ireland Hedge School on the 9th of April at 7pm, led by History Ireland editor Tommy Graham along with a panel. The topic up for discussion is censorship in Ireland and all are welcome. UCD will host a free seminar entitled The Work and the Archive: Researching Edna O’Brien’s papers at University College Dublin on April 11th at 5pm. The seminar will last till 6:30pm and will be led by Dr. Dan O’Brien and Evelyn Flanagan. To secure a seat, you may need to book a ticket through Eventbrite.ie. Edna O’Brien herself will appear on the 24th of April in The Mansion House. She will be interviewed by Colum McCann about her lifelong contribution to literature and how she changed the face of Irish writing in the 1960’s. They will also be accompanied by musicians on the night who will play some of Edna’s favourite songs. The ticketed event is free but, fully booked already. 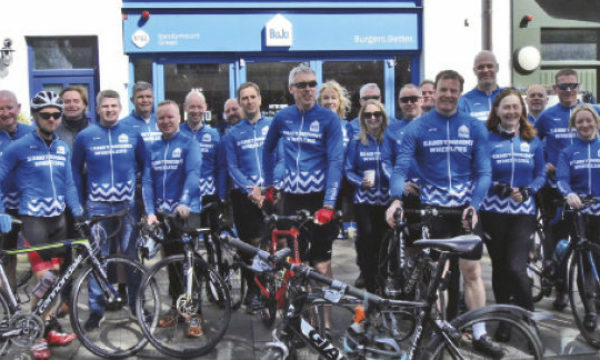 Sign up to the dublinonescityonebook.ie newsletter to check if some tickets become available.